The new Pixel phones or the Google Pixel Slate tablet were not the only devices to be unveiled at the new Google event as the company also unveiled a new version of the Chromecast: the Chromecast 2018 or Chromecast 3rd Generation. It has been a while since the Chromecast got an update as the last device was launched back in 2015. To find out if this new Chromecast really offers anything new or not and the Chromecast 3 Qatar price, continue reading. While there is visibly almost no change in design, there are actually some minor changes. The new 2018 version comes with a matte finish instead of the glossy finish we have seen before. It’s still the small and round shaped device but the edges are more rounded this time. There is no change in the number of ports available so users get a micro-USB port for powering up this device and one HDMI port for connecting it directly into the TV. The number of supported operating systems are still the same which is good enough: Android 4.2 and higher, iOS 9.1 and higher, Windows 7 and higher and Mac OS X 10.9 and higher. 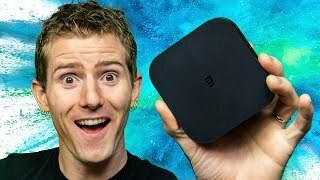 According to Google, the new SoC included in this media streaming dongle should work 15% faster than the 2015 Chromecast. This allows the dongle to stream 1080p videos at 60 frames per second smoothly. However, 4K streaming support is still missing which might put some users off. 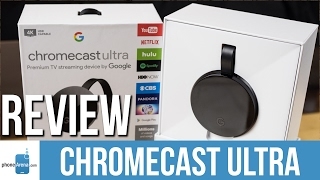 There is the Chromecast Ultra if users are looking for 4K streaming support instead of waiting for the Chromecast 3 release date Qatar. 802.11ac Wi-Fi with support for both 5GHz and 2.4GHz is still there but there is no new feature to look forward to. There is also the Amazon Fire TV and Roku Express if you are looking for a media streaming dongle with a remote included in the box. These are almost in the same price range as the Chromecast 3 Qatar price. 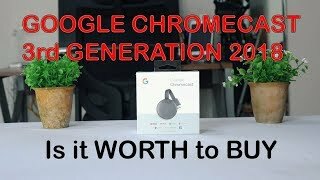 As mentioned earlier, there are almost no new features in the 2018 Chromecast but later in 2018, it will receive an update which will allow users to play music in sync with other existing speakers that are connected to Google’s devices thanks to the Chromecast Audio functionality feature. Users will be able to stream contents from popular applications like Netflix, Hulu, YouTube HBO and Google Play Movies. The number of supported applications is quite big and users will be able to mirror their laptop screen directly on their TV as well. The Chromecast 3 will be available for QAR 100 which is similar to the price of the 2015 Chromecast. 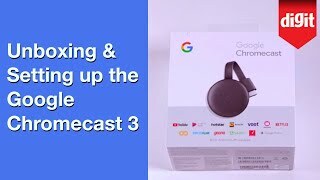 It’s already available for order which means no need to wait for the Chromecast 3 release date Qatar. 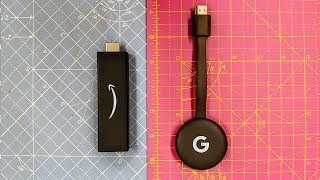 Chromecast 3 vs Amazon Fire TV Stick 4k - Which one to buy? Price has increased 2% from QAR 193 on 2019-02-08 to QAR 197 today.